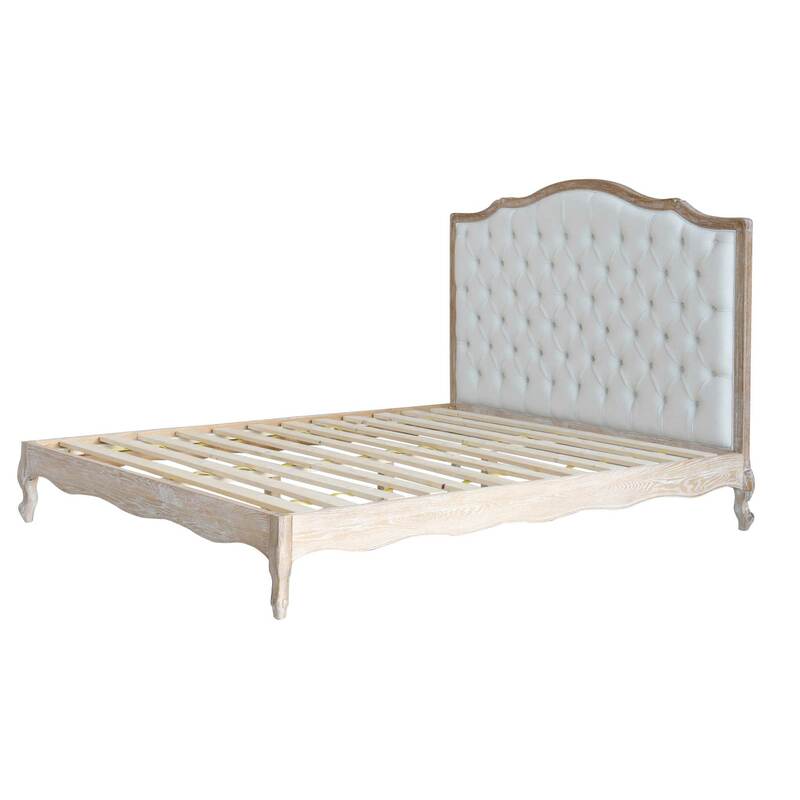 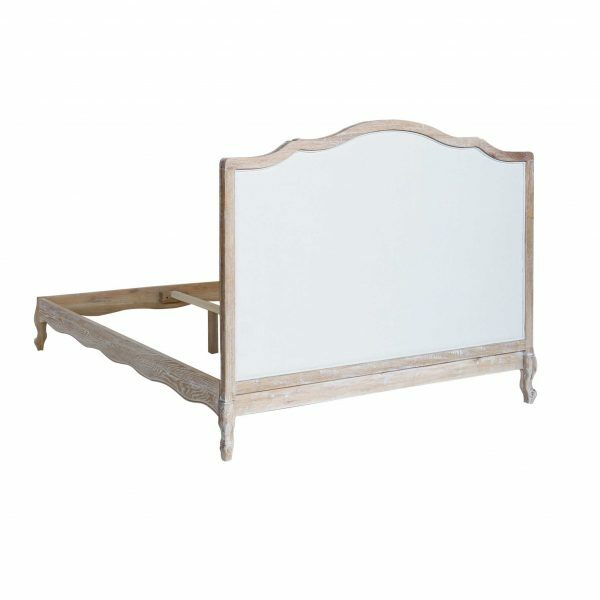 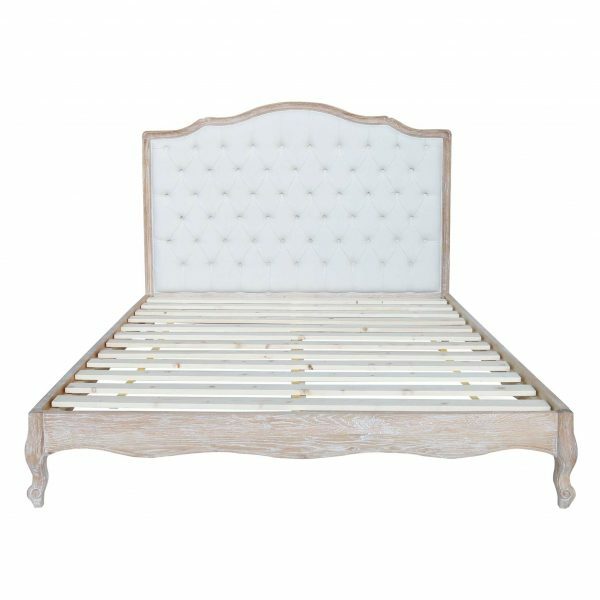 You will love using this Linen Queen Bed with Button Pattern to update the style of your bedroom or guest bedroom. It comes with a sturdy base that holds a standard mattress. 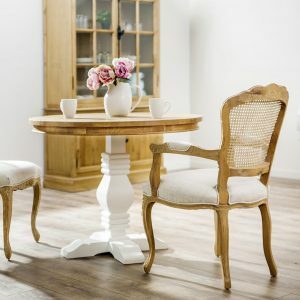 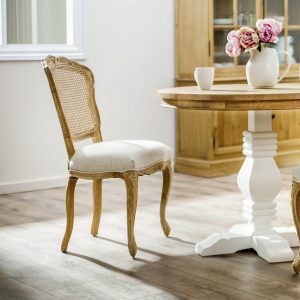 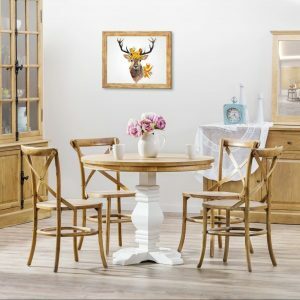 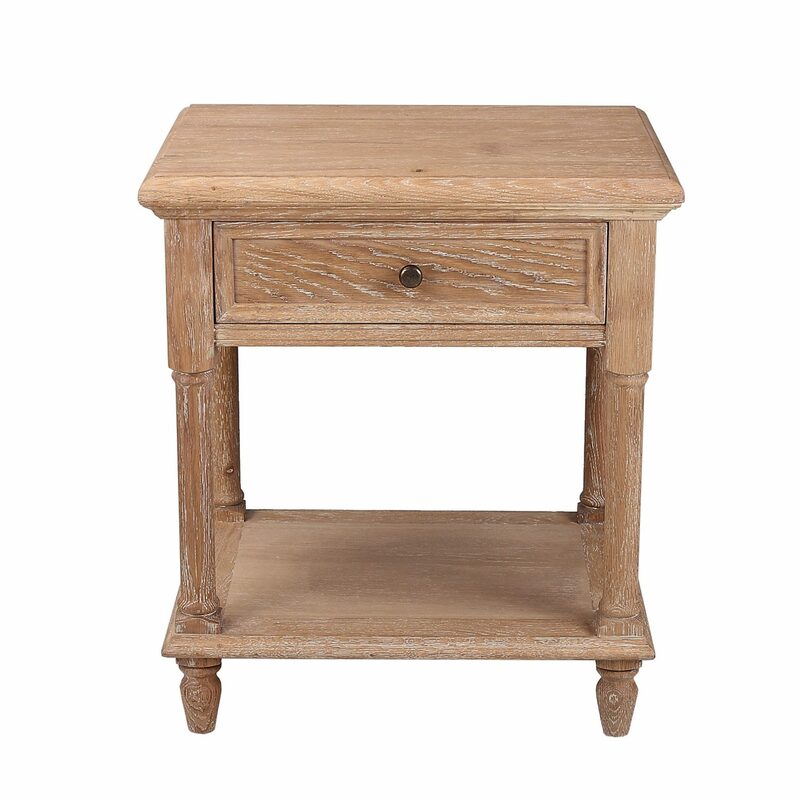 The feet have a romantic style, with plenty of curves and scroll patterns that add beauty. 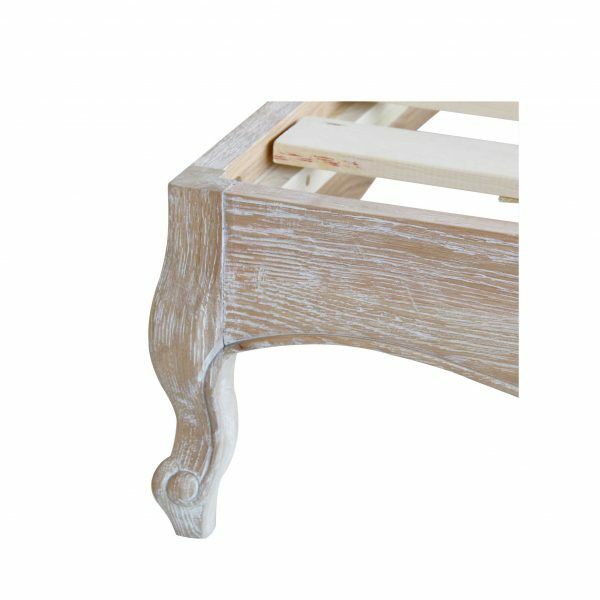 Sweeping and curved cuts along the bottom of the base match up with the legs to create a uniform look. 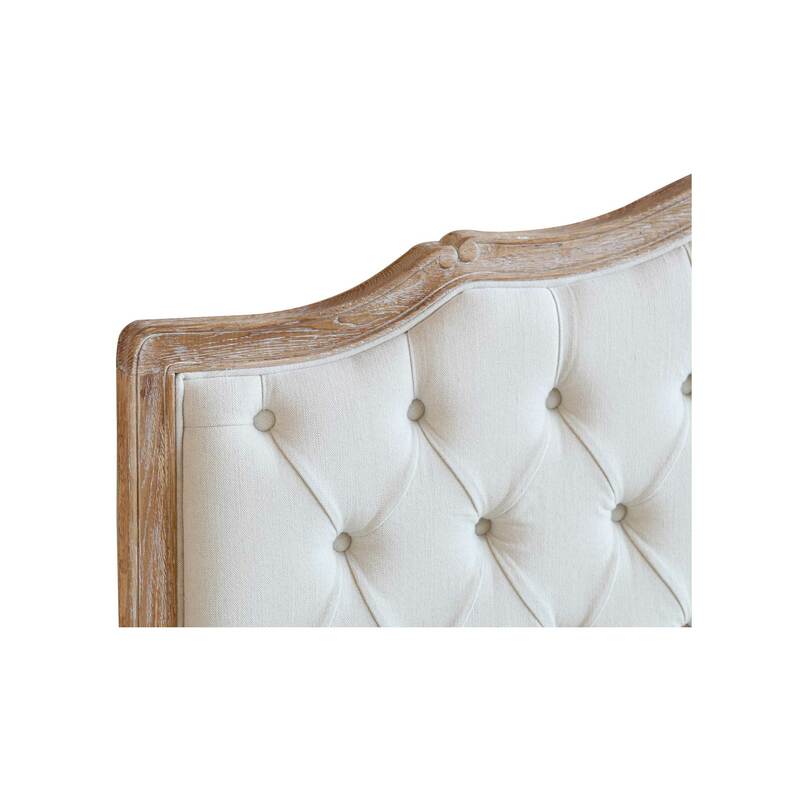 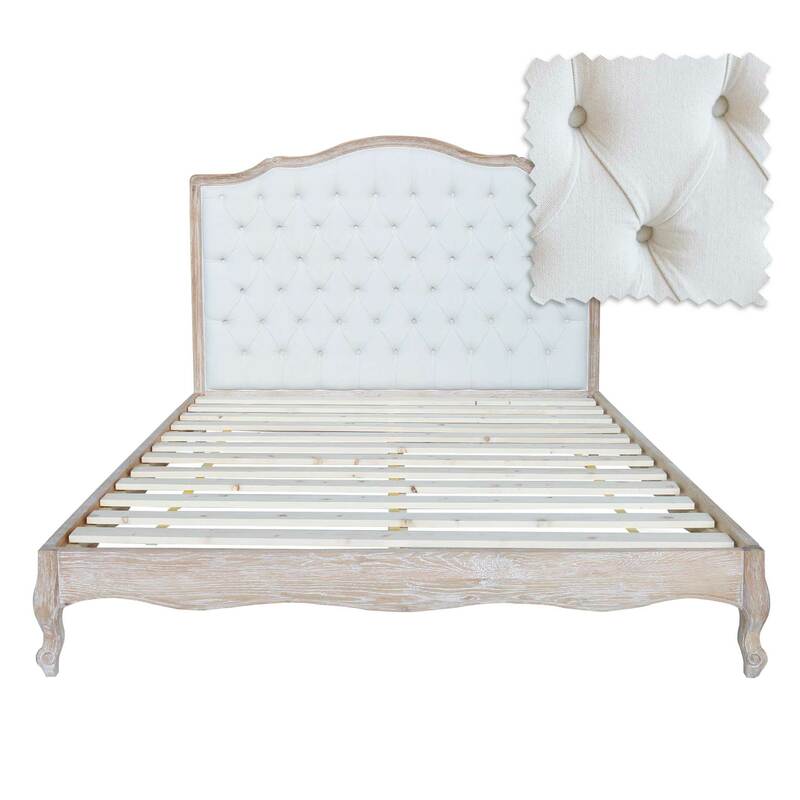 The headboard also has curves along the top and comes with a plush middle that is made of grey linen fabric. You’ll love how the buttons create a pleated diamond pattern.